120 transition-year students from over 30 second-level schools in Limerick, Cork, and surrounding counties will attend female-only programmes the University of Limerick (UL) and at Cork Institute of Technology (CIT) this week. 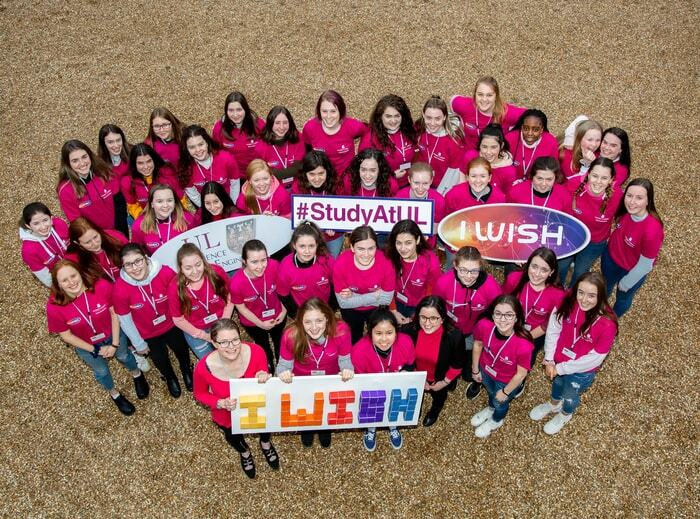 I Wish is an initiative to inspire, encourage and motivate young female students to pursue careers in STEM. Robots, investigating cancer, designing aeroplane parts and computer games are just a sample of the activities on offer during the campus weeks at Limerick and Cork. The I Wish Campus Weeks run from January 14th-18th, and comprise of workshops, interactive demonstrations, panel sessions, and industry site visits, all aimed at providing students with an in-depth insight into the daily lives of Science, Technology, Engineering, and Maths (STEM) professionals and graduates. The University of Limerick and Cork Institute of Technology are committed to building and maintaining an inclusive environment which promotes equality, values diversity and respects the rights and dignity of all. UL and CIT are working to raise awareness and ensure the engagement and advancement of women across the institutions. UL has been awarded the Athena SWAN bronze institutional award, which recognises the advancement of gender equality, and several Departments and Schools across the University have also successfully gained bronze awards. CIT are currently working towards their Athena SWAN bronze institutional award.